You're probably looking for a used Toyota engine to buy. At this point, you've probably checked prices at a few different places. Maybe, you have some others in mind to check when you're done here. There are numerous options. They are, usually, intentionally confusing. Looking for authenticity? Great prices on great engines? AUTOPARTMAX.com is a family-owned used-engine dealer with decade’s experience. We specialize in sourcing used Toyota engines with low mileages, low cost used or rebuilt Toyota engines and remanufactured Toyota engines. 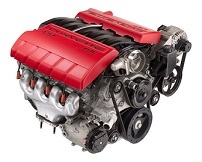 It's likely the engine you need is ready to ship Fast to your location in the US or Canada. Not only that, we'll put our personal 100% money-back guarantee on it. We sell all major Toyota automotive components, but we have always specialized in used automotive engines. Outrageous marketing schemes aren't necessary. In fact, explosive marketing budgets trailed by high strung sales reps and glamorous websites balloon costs. Then, you pay more than you should for your used engine. Many of our clients are hurried automotive technicians and some are specialty individual DIYers. Most are individuals looking to hammer down costs on auto engine repairs. These are those whom rely on our expertise. And in our experience, it's very important to identify client expectations. It reduces a myriad of future problems. That doesn't mean your engine will cost more. In reality, we're cheaper because making assumptions can be expensive. So, we do more than ship engines all over the globe. 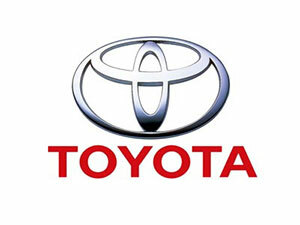 We are bundling packages that provision authentic Toyota performance that can hold up to your driving needs. This doesn't require expense or money. It requires experience. And a good ear. We focus on our customers and let the dollars take care of themselves. It's the oldest and most effective business model. And word of mouth advertising is its greatest effect. We have the latest technology, but nothing more is needed. Our clean warehouse bulges with more than sixteen-thousand units ready to ship. We can source within seconds, but not for just any engine for your Toyota. This inventory is a well-organized count from cumulative years and experience. Why waste money holding Toyota engines that aren't top notch? Our customers only want top notch. You only want top-notch. Our business only works well with top-notch. And how could we provide a guarantee with anything less? Auto parts so, when you think about it: all those pushy sales touting a Toyota engine purchased among a massive shipment isn't really cost prohibitive. If they're buying bulk at cheap prices, they're gaining a bunch of junk, too. What do you think happens to those engines? Think of the manpower it would require to check every crate. And the cost of warehousing, too. Because they know you're a stellar person, they realize that once you've seen the online advertised price that is no longer available, you'll patiently wade through their 'real' prices. Our methods are diligent and thorough resting only with the best. Scrap the quota-driven sales. Get with AUTOPARTMAX.com. So, call. We want you to get the real price, but understand it's not expensive. There's a difference between a used engine distributor and used engine dealer. We're the used engine dealer. We even perform the necessary work on any rebuilt Toyota engine or remanufactured Toyota engine you might buy controlling costs and quality along the way. Deal direct and save thousands.